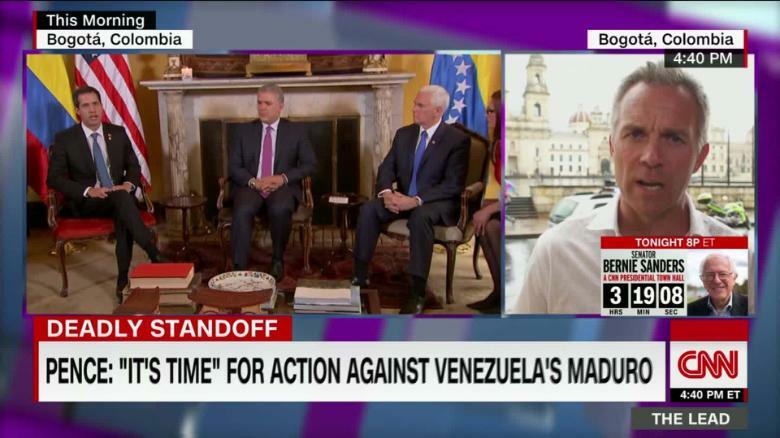 Veteran news anchor Jorge Ramos said that Maduro didn't like being asked about "the lack of democracy, about the torture of political prisoners, about the humanitarian crisis" during a 7 p.m. interview at his palace in Caracas. Venezuela's government denies Ramos' account and accuses him of trying to stage an global incident after senior State Department officials and Sen.
Venezuelan officials confiscated his and his crew's cellphones, equipment and the material of the interview, according to Ramos. Maduro's team has been scheduling interviews with American journalists. "News of their detention and confiscation of their equipment by Maduro's henchmen are the latest reminder that press freedom in Venezuela applies only to those who are willing to spread the regime's lies", tweeted Kimberly Breier, assistant secretary of state for western hemisphere. Venezuelan Communications Minister Jorge Rodriguez told Univision that it was not true that the journalists were being detained, according to Janiot. "They were interviewing [Nicolas Maduro] but he didn't like the questions", said Daniel Coronell, the President of News at Univision. Ramos' daughter, Paola, tweeted shortly after the incident that she had spoken to her father. They were reportedly there to interview Venezuelan President Nicolas Maduro, but he reportedly did not like their questions. Maduro has refused to resign or accept foreign aid. Vice President Mike Pence arrived in the Colombian capital for an emergency summit of regional leaders to discuss the deepening crisis and immediately met with Guaido, who the USA and 50 other nations recognize as Venezuela's rightful leader. Venezuela was marred by clashes this weekend after the National Guard and police forces loyal to Maduro blocked trucks from crossing near the Brazilian and Colombian borders.